I’d like to say a few words about clutter. I worked in my kitchen today and looked for a small tool, not often used, called a bean slicer. My mother tucked it into my Christmas stocking some 25 years ago and there is nothing else like it. It does one job and one job only- slices beans into french cut. It’s invaluable for those gardeners who inadvertently allow their harvest to over-mature yielding big, heavy, woody beans. The result is tender, succulent green beans that you might have otherwise considered tossing out. Professional organizers will tell you that you should throw out anything you haven’t used in a year. If that were true, my little bean slicer would be long gone. The fact is, I don’t grow green beans every year but when I do, I’m one of those people who gets busy and all of a sudden my green beans look like something from Jurassic Park. I would be lost without my slicer. I’m a little tired of this new “minimalist” attitude where we are made to feel guilty if we keep things on hand that we don’t use routinely. Now, it’s true that women with 100 pairs of shoes only wear about 20 of them on a regular basis. It’s also true that we get sentimental about things and find it hard to let them go. But part of my job as a manufacturer of storage systems is to help you find the space to keep the things that you do use, even if infrequently. I don’t want you to have to rid yourself of everything that you ever bought, loved or valued just because you didn’t use it in the last 365 days. Tomorrow, you’ll be looking for it and I’m sure I can find the space and make a perfect spot for it so when you need it, you can find it. This entry was posted in Tips and Articles and tagged clutter, declutter, organizing, sentimental on September 8, 2013 by Diana Augspurger. We’re always looking for our unique selling proposition. That’s sales speak for what makes us different from our competition and why should you place your trust in us. If you follow us on Facebook, you may have noticed the post about Mobile Soles. This is a fledgling business who came to us to outfit their tricked out UPS truck with slatwall panels and fixtures for displaying shoes and clothing accessories. 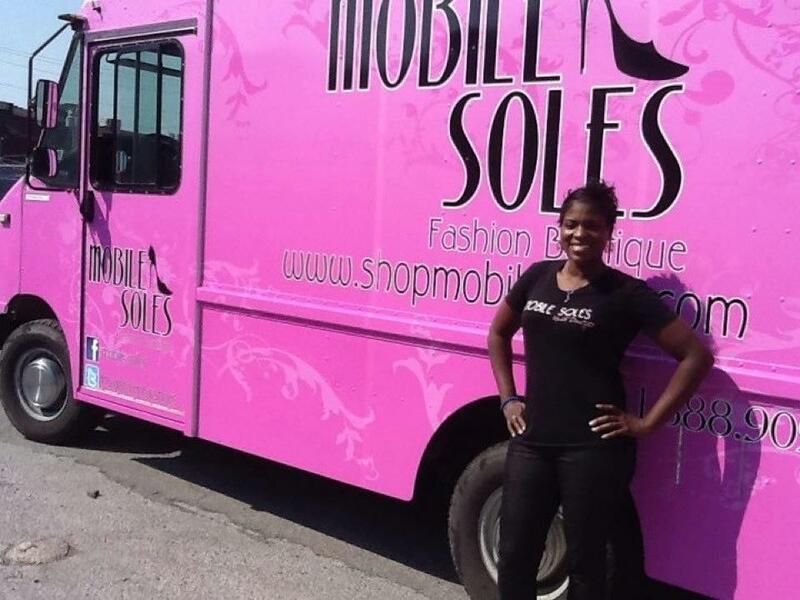 Yep, Mobile Soles is sort of a Lord and Taylor on wheels. The truck was scheduled to make a public appearance for a marketing gig in New York City on Friday. The owner planned on leaving Buffalo for the drive to New York at 2:00am. The company providing an exterior wrap ran into problems and while we should have been able to install for her late Thursday afternoon, she couldn’t get the truck to us until 10:00 that night. I’d like to tell you that management held staff over to complete the installation but in fact, the employees who got the call made the decision that they should wait until the truck could arrive so the owner could make her marketing gig. Long story to get to my point. At Creative Storage, all the staff are empowered to make decisions that will lead to your being happy and satisfied. No one needed to call and ask about being paid overtime or charging extra for our inconvenience. There is no such thing as our inconvenience. I love that everyone at Creative Storage lives and breathes that mantra. That’s our unique selling proposition. Buy with confidence because you will never, ever be left unhappy. This entry was posted in Organizing, Tales and Memories and tagged mobile soles, on the go, organizing, shoes, slatwall, truck on September 7, 2012 by Diana Augspurger. There seems to be a real uptick in organizing early this year. It doesn’t seem to matter that it’s cold and snowy outside. 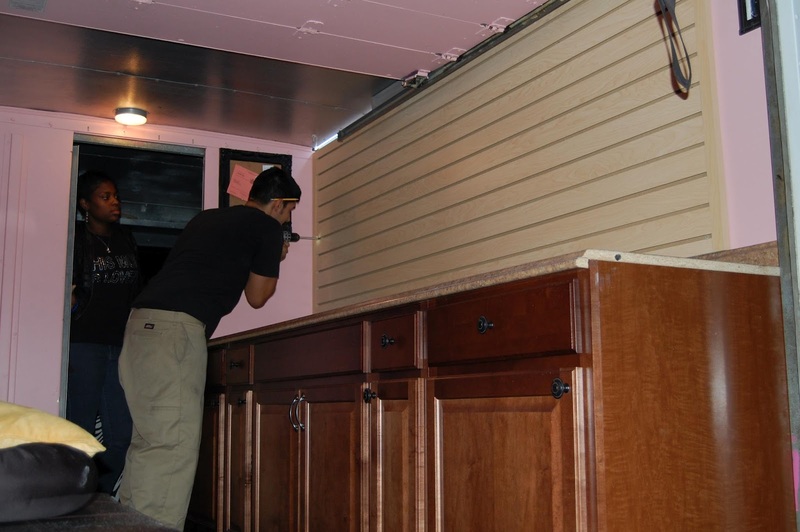 We have been swamped with calls for remodeling projects; pantries, home office and master bedroom. The store has been exceptionally busy with small do-it-yourself projects too like jewelry drawer and kitchen organizers. Perhaps cabin fever is making people crave an uncluttered home? We’re sort of feeling like that ourselves. New displays are being installed this week and the main showroom is being overhauled. Nothing beats changing everything up and looking fresh and new. I highly recommend it! 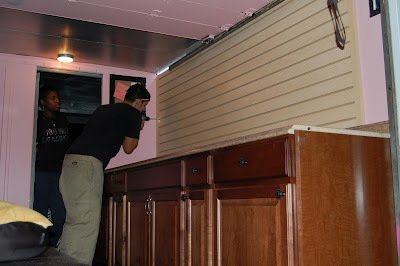 This entry was posted in Organizing and tagged ACSP, Back Halls, closets, do-it-yourself, Get Organized Month, January, Kitchens, Mudrooms, organizing, Pantries, Remodeling on January 9, 2011 by Diana Augspurger. Every once in a while we get a customer who simply has more stuff than they have room for. It’s always a challenge to help them find a solution that suits all their needs. The fact of the matter is, we don’t make the final decision, the customer does. While we are designers and fabricators, we are also facilitators assisting our customers with the emotion of deciding what to keep and how to make it fit. We can only suggest. The final decision is their’s. Today we assisted a customer with far too many shoes and far too little space. She had to make a choice between hanging space, shoe space and drawer towers. It wasn’t easy but we found a compromise and because it was ultimately her choice, she can make the changes that will allow it to suit her for many years to come. This entry was posted in Organizing, Tales and Memories and tagged divestment, emotional, facilitators, organizing, shoes, stuff on August 16, 2010 by Diana Augspurger.